I found this mahogany bench from a private seller. The good part, it has beautiful lines and curves. The bad part, it smelled as though it had been in a damp basement for a while. And the fabric was VERY dated. So I completely replaced the seat base, and covered it with new foam and a modern, colorful fabric from Waverly. 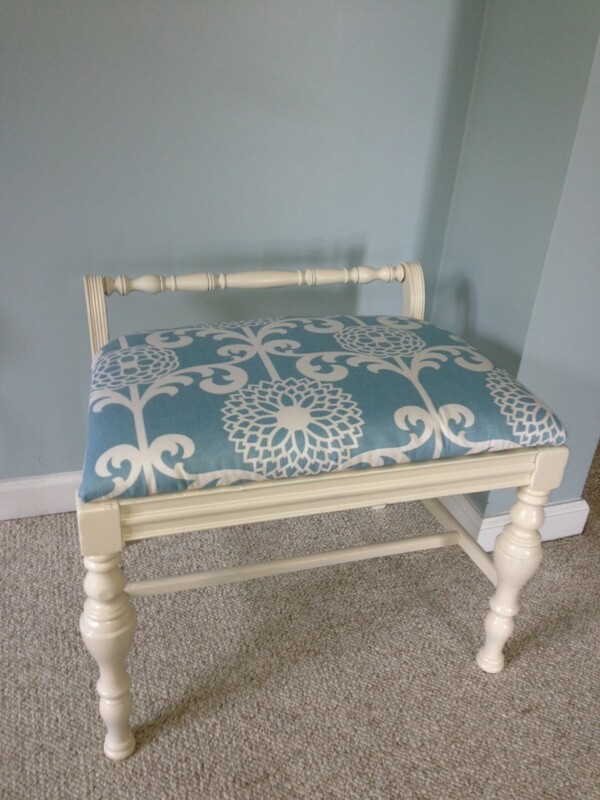 I painted the wood to match the fabric, with a creamy antique white. Wouldn’t this seat look great in front of a vanity? Or maybe in an entryway? It’s a great place to sit down and put your shoes on.